Humility is not a common trait amongst many soccer legends but when it comes to the likes of Alan Shearer you are looking at a player who it’s the mould of what a true legend should be like. Alan Shearer is one of the all-time legends of English soccer. The quietly spoken Geordie accented gentleman rejected much of the ‘show business’ side and fame of the game, instead opting to spend more time with his family Its is due to this nature of his that he was once referred to as ‘boring; by some English tabloids. Shearer holds the distinction of being the first Premier League Champion – a title he holds close to his heart. This honour was bestowed on him due to his ground breaking record of 260 goals in the Premier League which still remains the record amount since 1992. 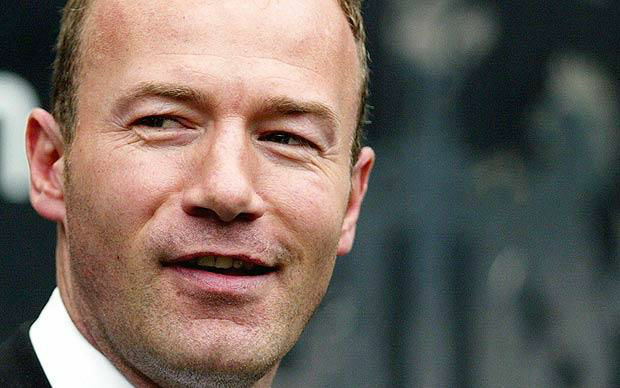 After retiring from soccer, Shearer had a brief stint as managing Newcastle United after which he worked as a BBC Pundit for a few years. He runs a well known and respected Alan Shearer Foundation which works closely with people with disabilities. He was born in Gosforth, Newcastle in 1970 to working class parents. His father was a steel-metal worker and encouraged his son to play soccer both at school and during his play time hours. Shearer captained his school team – the Newcastle City School team – to a national win. This propelled him to play for the Wallsend Boys Club as a teenager where he was scouted by a soccer manager. It comes as a surprise to many that the soccer legend had unsuccessful trials for West Bromwich, Albion, Sunderland and Manchester City. All these clubs overlooked his potential; Shearer eventually joined the Southampton team on a youth contract. He spent five successful years at Southampton where he was voted Best Player three times. He was later snapped up by the Blackburn Rovers FC where his success continued by scoring 30 goals in three seasons. Shearer helped the Rovers win the Premier League title in 1995, after that monumental win he signed for his boyhood club Newcastle United in 1996. Shearer enjoyed a decade long prolific career at his hometown club Newcastle United. To this day Shearer remains Newcastle’s all-time goal scorer with 206 strikes after surpassing the record set by Jackie Milburn half a century earlier. Shearer’s ten year stint at Newcastle United began in 1996. Shearer was noted for his strength on the soccer field and his quick speed. He is regarded as one of the best strikers the game has ever seen. Shearer also enjoyed a good record playing for England; he appeared for England 63 times and scored 34 goals. He was the captain of the team in 1992 and led them to a vital 2-0 win over France. In 1996 Shearer scored five goals in five crucial games for England in the UEFA Euro Cup. He was the tournament’s top goal scorer for that year. Shearer scored 30 goals in 63 international appearances. Shearer has won the Golden Boot award three times. He was the Player of the Season in 1995. He has also been awarded the OBE by the queen.